Today is a great day for a Fashion meets Interiors feature! 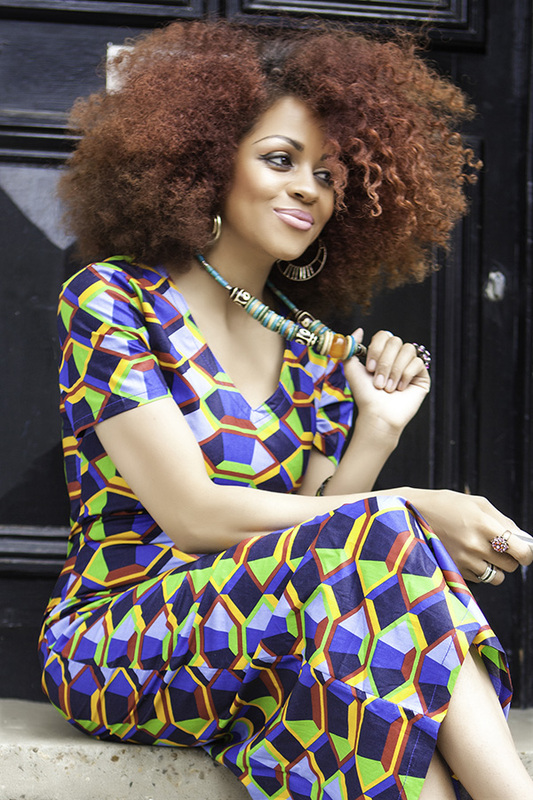 I’m so excited to be collaborating with Zanjoo today, a tribal inspired fashion brand with a stylish African twist. Today Zanjoo’s founder, Peeqs, has styled an awesome outfit to go with this uniquely tribal interior design. 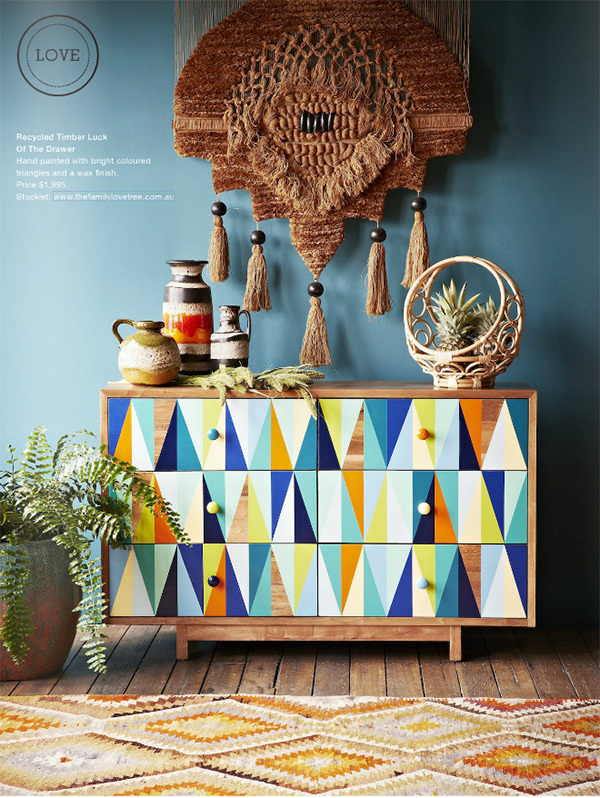 Another fun fact is that the colorful geometric dresser shown in the interior design inspiration is actually from Australian brand The Family Love Tree, which was just featured in my post on boho-chic decorating. Definitely check out my boho-chic decorating post if you haven’t yet because you’ll want to know about the amazing shopping resources inside. Now back to Peeqs amazing styling! 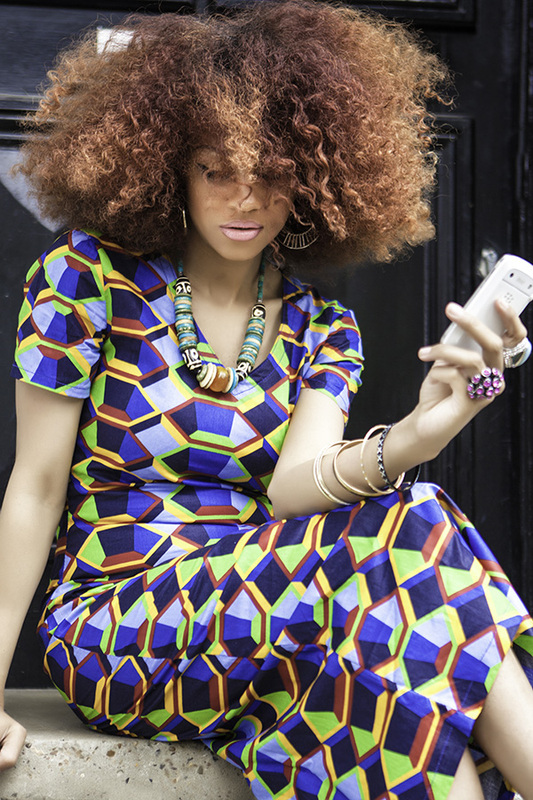 Her outfit is the PERFECT match for this colorful interior design inspiration! 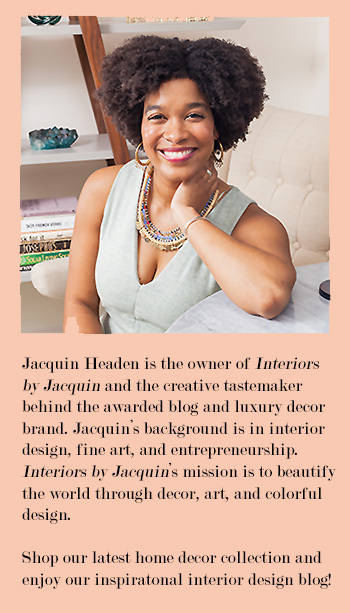 Greetings, my name is Peeqs and it’s an absolute pleasure to grace Jacquin’s beautiful blog! I am the founder along with my wonderful and super talented husband Mysterex of women’s tribal inspired fashion brand named Zanjoo. We have 2 beautiful children and I also run a blog called Zanjoo-Moam with a combined social media following of well over 100,000 loyal readers. The blog is a fashion and lifestyle platform and a one stop shop showcasing wonderful fashion and cultural events from the black community, lifestyle tips and advice, head wrapping tutorials and my natural afro hair journey, plus more. The idea of Zanjoo was conceived when my husband and I, Mysterex, were discussing the need for a one stop shop that sells all things tribal inspired that would compliment the average young sistas’ wardrobe, yet was affordable, great quality and available off the rack. Just over a year later that dream is now an amazing reality! Our store is online and we deliver worldwide. Recently we have done a number of pop-up shops with amazing feedback from customers of all races and ages who enjoy the beauty of African culture, which has been absolutely amazing to see. 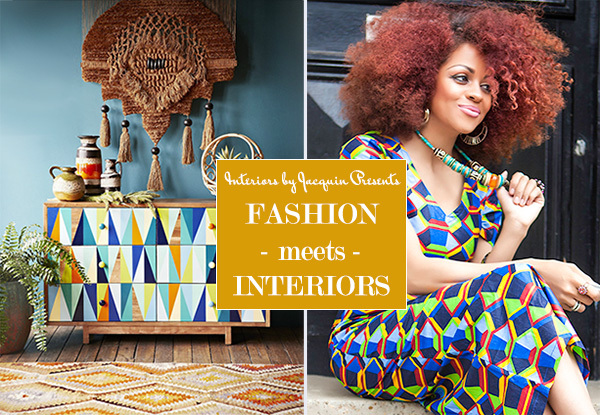 The intersection between interior design and fashion… One great pattern, Two stylish looks! The Family Love Tree (AU) editorial from Winkelen magazine. It was so much fun playing dress up and having the challenge of styling an outfit inspired by a unique interior design! I utilized this interior design from Winkelen magazine as inspiration because I loved the how the geometric patterns and bright colours were balanced with the natural hanging décor and beautiful African looking vases. It reminded me of how at Zanjoo we try to blend our traditional culture with western aesthetics, pulling it all together with style! This interior design has done just that! I am also wearing Zanjoo’s corrugated golden necklace, which I love, and again looks like the shape of the decorative wall feature. I added an acid wash denim shirt along with a black bra for an edgy addition to my pants look. I also had fun adding complimentary nail polish and jewelry accessories. This is a playful and stylish look that works perfectly with the interior design! Here’s where you can find these great fashion selections! See below for the details. If you’re eager to find more beautiful, African-inspired fashions to add to your wardrobe then stop by Zanjoo to shop the latest. Have a lovely week!